A Canadian premier’s use of an obscure constitutional opt-out clause has prompted criticism from Amnesty International Canada. 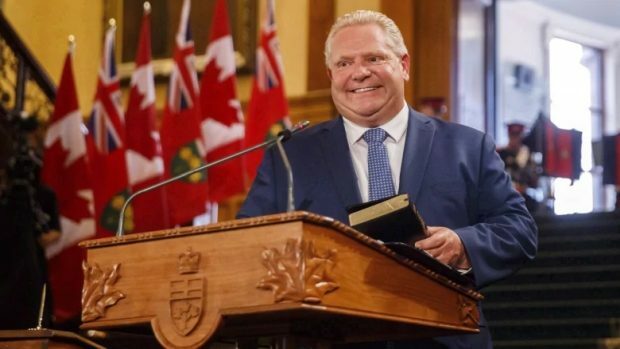 The rights group called Ontario Premier Doug Ford’s use of the clause to force through cuts to Toronto city council “contemptuous” and “disgraceful”. In July, the premier said he would slash the council by half, arguing it was bloated and inefficient. The report by The Times revealed that Amnesty’s director of faith and human rights, Yasmin Hussein, is linked to a British “aid agency” which helps finance Hamas, and held a private meeting with a senior Muslim Brotherhood official at his house in Egypt.